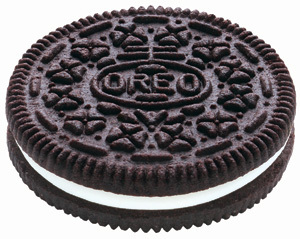 Twist and shout: Happy 100th birthday to the Oreo cookie! People have been twisting, dunking and savoring the Oreo cookie for 100 years. Today marks the iconic cookie’s 100th birthday — let’s celebrate! Probably as far back as you can remember, the Oreo cookie has been part of packed lunches, after school snacks and the decadent treat to pick you up when you were feeling down. You’re not alone in your memories, and today the cookie loved by so many celebrates its 100th birthday! Not many of us can say we haven’t changed much over the last couple of decades, but the Oreo remains close to its original form. Sure there have been additions to the lineup, like chocolate filling, double-the-cream, vanilla cookies and some holiday-themed cream filling (green and mint flavored, peppermint flavored, etc. ), but hey — who hasn’t tried to keep up with the times a bit? In fact, to celebrate hitting the century mark, you’ll now find a special Oreo with colored sprinkles added to its white cream filling. Oreo cookies are the best-selling cookies of the 21st century! The cookie started out in New York City in 1912 with the National Biscuit Company, but Nabisco, a division of Kraft Foods, bought the company soon after (and still owns Oreo). Oreos are sold — and loved — around the world with some adaptations to cater to the tastes of the population. For example, in China, Oreos have been reinvented as wafer layers filled with cream and coated with chocolate on the outside, and in Argentina, Oreos are sold in packages that include banana cream-filled cookies and caramel-filled cookies! Celebrate the birthday of one of the most beloved cookies! No matter how you enjoy your Oreos, this cupcake recipe for mini Oreo surprise cupcakes might become a birthday celebration favorite! Mix the cake batter according to the package directions. In a separate bowl, mix the cream cheese, egg and sugar until well blended, and mix in with the cake mix. Add half the cake batter to 24 lined muffin cups. Add about 1-1/2 cups of the cream cheese mixture and one Oreo on top of the cake batter. Add the remaining cake batter to the top of the cream cheese/cookie layer. Bake 19-22 minutes, or until a toothpick inserted into the center of the cupcake comes out clean. Allow the cupcakes to cool for at least five minutes. Remove them from the muffin tin and cool them completely on a wire rack. Once completely cooled, frost the cupcakes with Cool Whip and top with the remaining cookies. 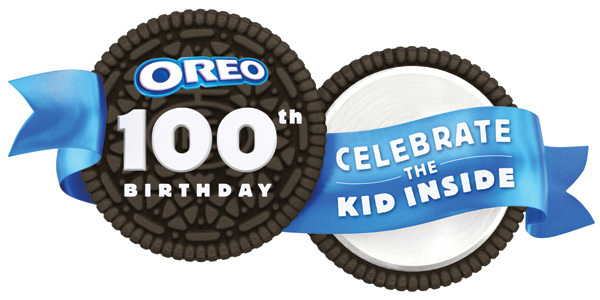 Happy 100th birthday to the Oreo cookie! Celebrate with a twist, dunk or a simple bite!